The Rebbe’s Brocha to Bar Mitzvah Bochurim “to grow to be a Chosid, G-d fearing, and a Lamdan, (the acronym for חי’’ל, soldier) placing “Lamdan” last, addresses the education conundrum we face today: How do we grab the average child’s heart and mind in a modern world that competes for their imagination, promises success in business or social life through internet, and is so easily accessible? The (frightening) consensus in a recent gathering of Menahalim and Roshei Yeshivos, was that up to 60% of our boys are either not being reached academically, inspired emotionally, or are otherwise falling through the cracks of even the so called “best of Yeshivos ” (we can devote another article about us parents another time!). This should not come as a surprise simply from our personal experience, but nevertheless, the tragic reality is that for the most part, parents and educators continue with a “traditional” outlook hoping for different results. As the saying goes, Insanity is doing the same thing over and over expecting different results. The natural expectation is for the Yeshiva to focus solely on learning; any other activities detract from the goal of “Lamdan”. 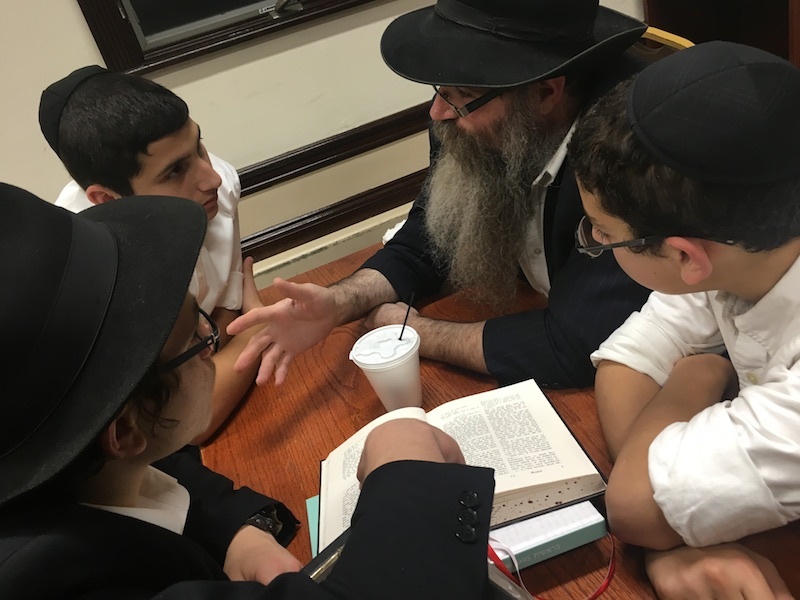 Only if a boy is not as successful as we would hope, will we send him to an “alternative” Yeshiva where healthy self esteem (after “Lamden” was out of his reach for so many years), creativity, and future goal planning are included in the Yeshiva curriculum. Even in previous generations, not ALL boys continued through Cheder to Beis Medrash for fourteen years. In many cases in the Alter Heim, children would have only a few years of Cheder education before going to the farm fields, market, or joining the family business. For reasons beyond the scope of this article, in modern days, and western culture, we do expect our children to follow through in formal schooling often until twenty years old and beyond. I’m not suggesting changing the model the Rebbe has made clear; Yeshiva is where our children need to spend their formative years. However, ignoring the fact that most of our Talmidim are not flourishing – and consequently wasting these years – aggravates the situation. The results are well known. The crux of the matter is how do we achieve the first term ‘Chosid’? How do we guide a student to become joyful, grateful that he is Jewish, and most importantly, connected to the Rebbe? Of course we teach him what the Rebbe taught. We expect him to emulate his scrupulous adherence to Minhag and Halacha. But where does HE fit in? How many Bochurim today lament that they feel they are in a “Bochur factory”? This is where connection comes into the picture. We want our Talmidim to feel connected, and this comes from them feeling fulfilled – in other words, being who THEY are, the best they can be. A strong soldier is a proud soldier. His general, the Rebbe, uses each soldier’s unique talent. This encourages his pride in his own talents and the mission follows. Does your son have a talent in music, show interest in computer coding, or is athletic? Does he enjoy the outdoors, likes to draw, is good with building and using his hands, or has a knack for cooking? Does he like to fundraise and organize events, or have other unique personality traits that excite him? The schooling environment that cultivates these talents, will build him into the successful person he is meant to be, using the gifts that the Aibershter intended for him to utilize in his Shlichus in life. Conversely, does your otherwise bright child just find it difficult to sit in a Shiur for extended periods of time? Does he struggle with one aspect of learning, but shows intelligence in many other areas? Did he grow up on Shlichus and hasn’t yet acquired the skills for learning Gemara? Offering today’s Bochur the opportunity to engage in programing and activities that build up his character, self confidence and self esteem, will not detract from his growth as a Chay”il. On the contrary, it will place HIM in the picture, and consequently, will enhance his experience and enable him to reach his true potential as a Lamdan and soldier of the Rebbe.